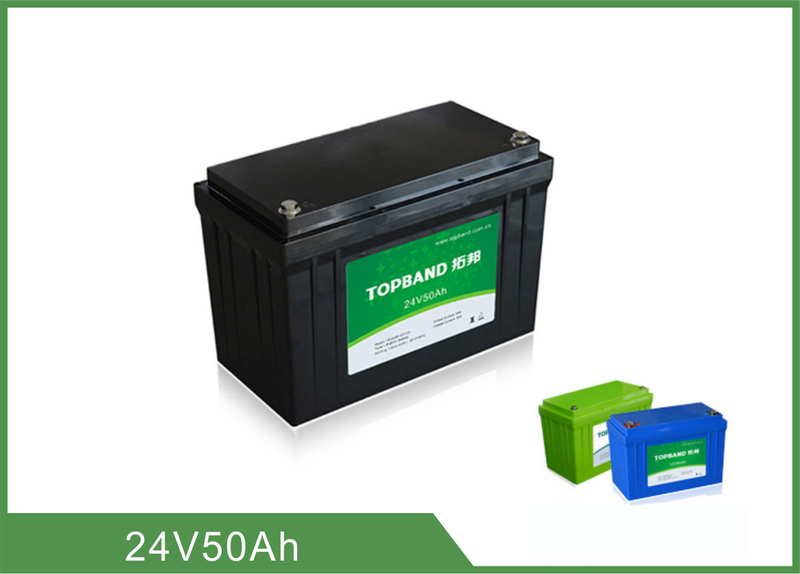 This specification defines the performance of rechargeable LiFePO4 battery pack TB2450F-M110A manufactured by Shenzhen Topband Battery Co., Ltd, describes the type, performance, technical characteristics, warning and caution of the battery pack. 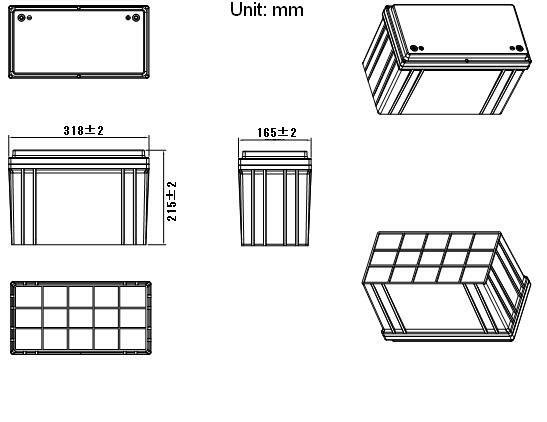 2 Nominal Capacity ≥50Ah Rest for 1 hour after fully charged, then discharge with 0.33C current until the battery reaches the discharge cutoff voltage. 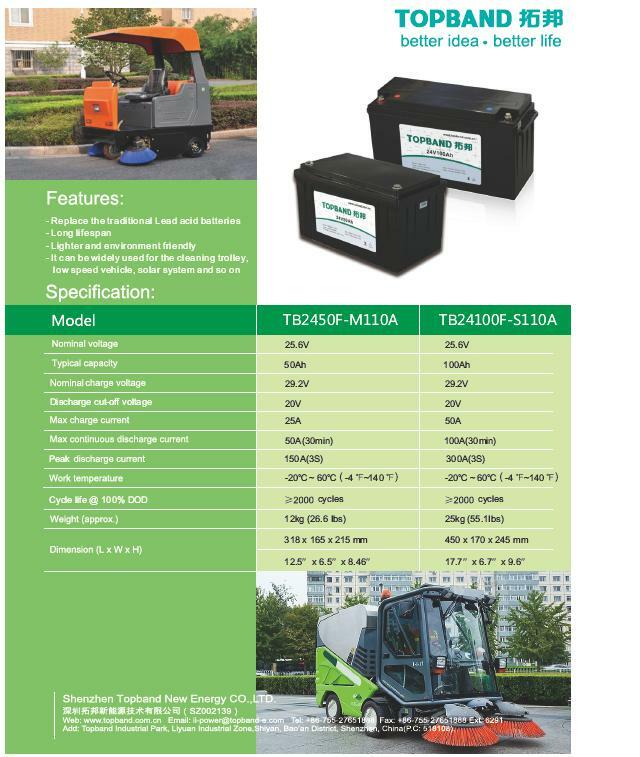 Repeat above process for three times, if the discharge time is not less than 180 minutes, you can stop and define the Discharging current*time value (Ah) as battery capacity. 4 MAX charge Current 50A Charging with this current for more than 0.5h and the added temperature of battery pack less than 20℃. 5 MAX discharge Current 50A Discharging with this current for more than 0.5h and the added temperature of battery pack less than 35℃.